Carry On - Funeral Poem | Ms Moem | Poems. Life. Etc. We’ve cried an endless river. Our hope stores all but drained. Your fingerprints all washed away. We pack away your clothes. Your room lays bare and empty. A place we cannot be. And sadly, nor can we. Your memory spurs us on. 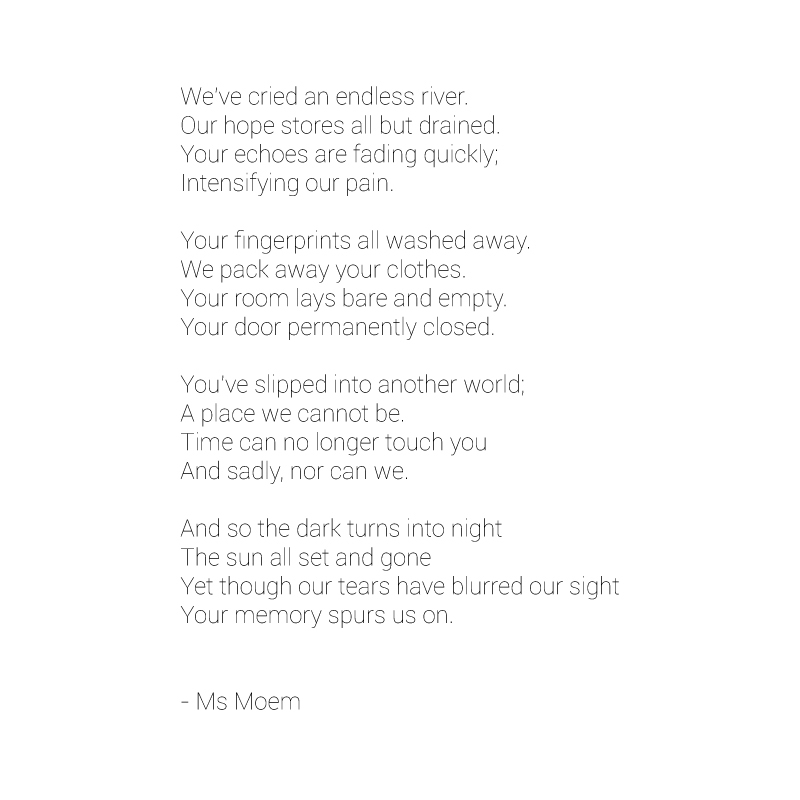 Carry On – a funeral poem written by Ms Moem.